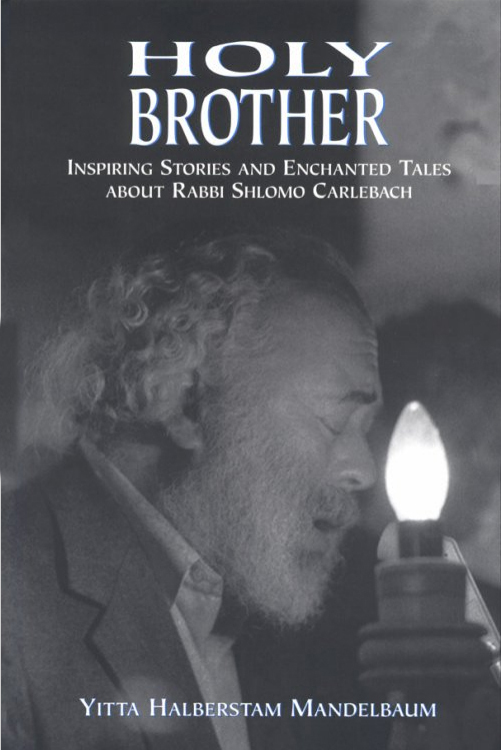 Rabbi Shlomo Carlebach was one of the most original and inspired Jewish personalities of the twentieth century. In this incredible volume, Yitta Halberstam Mandelbaum, a devoted student of Reb Shlomo, gathers dozens of stories about this charismatic, loving Jewish leader. The episodes retold here by Reb Shlomo's followers and admirers underscore his unfailing generosity, his capacity to love unconditionally, and his desire to reconnect every Jew with his or her heritage. As a whole, the collection reveals how many individuals were touched by Reb Shlomo, and serves as a moving tribute to the man many consider a tzaddik (righteous one). Yitta Halberstam Mandelbaum is the great-great-granddaughter of the Sanzer Rebbe, a nineteenth-century hasidic master whose teachings were brought to the American Jewish public and popularized by Shlomo Carlebach. She pursued graduate studies in American Literature at New York University, and taught Literature of the Holocaust at Baruch College. She has also worked as a newspaper reporter, writer for a nationally syndicated radio program, public relations director, press aide, and high school English teacher. Published since the age of nine, her work has appeared in more than 50 Anglo/Jewish publications and secular magazines such as Parade, Working Woman, Money, and New York. Currently, she serves as Director of Programming, Education, and Public Affairs for a non-profit organization. She resides in Brooklyn with her husband and children.